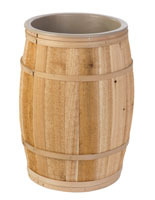 This cedar barrel with liner will display your iced beverages, freshly picked fruits, or grab-n-go snacks with country store style. 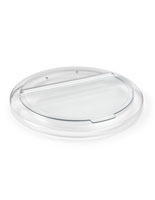 It has a water tight, acrylic insert that can be used to fill with ice and bottles of fresh squeezed orange juice or with messy peanuts knowing it can easily be cleaned out. 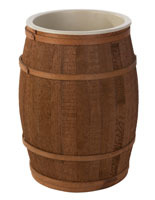 This custom barrel with liner is hand coopered with oak hoops for a unique design and has been left natural for rustic appeal. 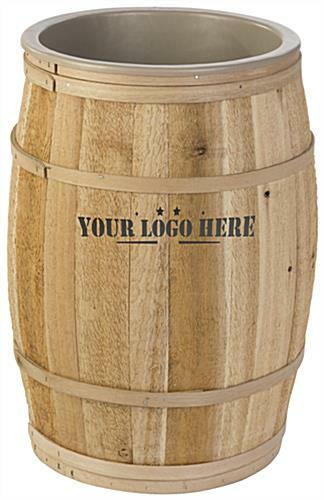 Each handmade bucket comes with a personalized painted logo on the textured surface for an advertising fixture with a weathered, country store appearance. 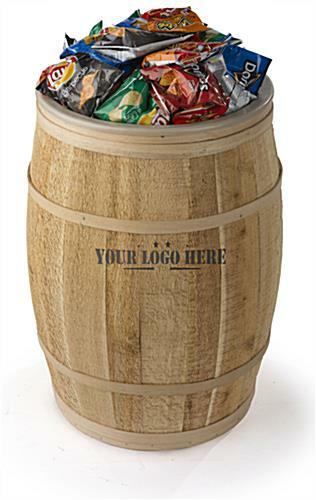 The logo will be stenciled using black ink that can be as large as 6” x 11” using any text or font of your choosing. 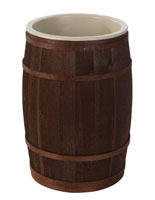 The acrylic insert fits snugly in the full size cask, but easily lifts out for a simple cleaning process. 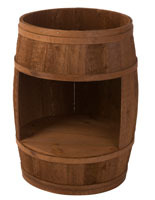 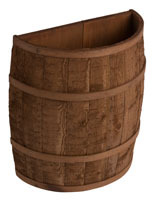 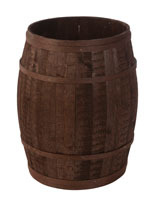 This barrel with liner gives your shop a custom display fixture with rustic charm to keep customers coming back. 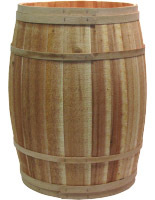 Please Note: The wooden barrel alone is not water tight. 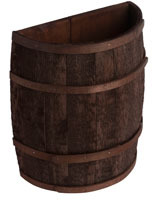 30.0" x 17.0" x 29.0"
We are unable to accept orders for less than 25 units per image.